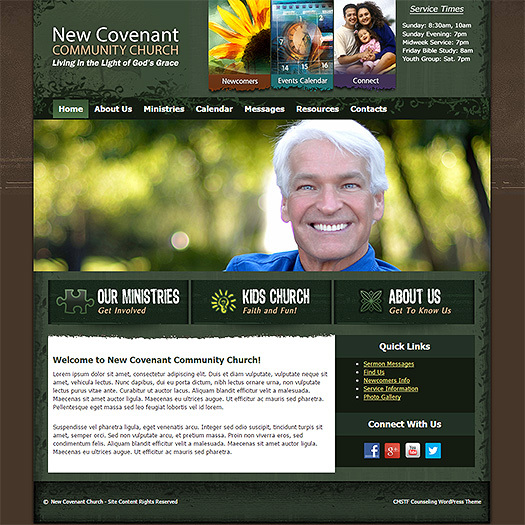 Are you ready to lauch a church website that really makes a statement online? That's exactly what this responsive WordPress church theme will allow you to do. As easy to edit as it is bold and eye-catching in appearance, this is the perfect option for your congregation's online footprint.